Colour. It’s probably the first thing we notice about a new car and it plays a huge part in creating a vehicle’s character. Cars have come a long, long way since the early days of the auto industry when Henry Ford said his customers’ options were “any colour so long as it’s black”. Just like exterior and interior design, colour design shapes the way we feel about a product. 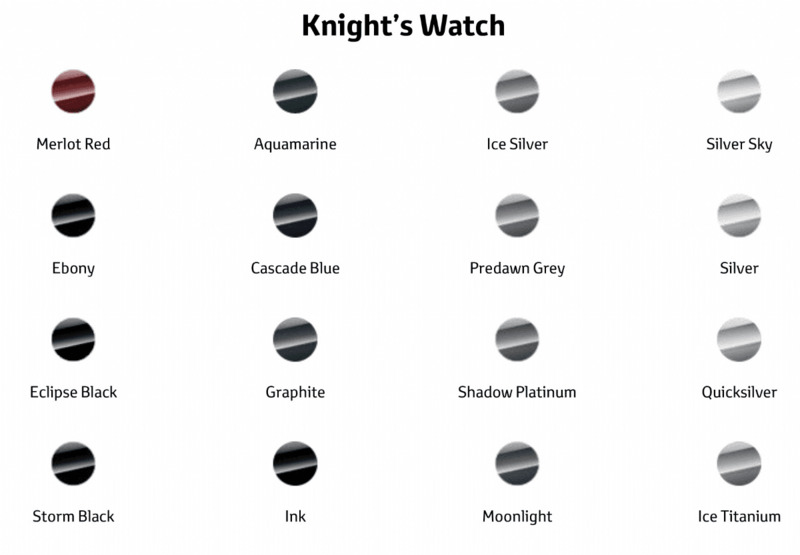 And there’s much more to it than picking shades from a paint chart. What are the most popular car colours on the planet? According to research conducted by PPG, while nearly 60 percent of consumers identified colour as a major factor in their vehicle-buying decisions, automakers continue to sell a vast majority of cars (nearly 75 percent) in conservative colours such as white, black, grey and silver. Research indicates that car manufacturers have good reason to give their brands and models a unique appearance using colour and effects. Buyers need to consider everyone from technology-focused millennials to family-focused baby boomers. 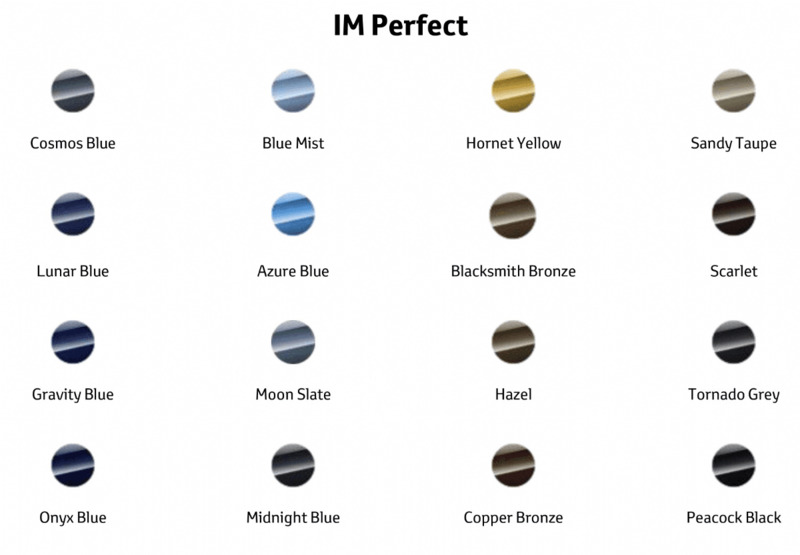 With a full spectrum of colours that can range in appearance from bright sparkle to silky pearlescence, today there are an endless variety of options. 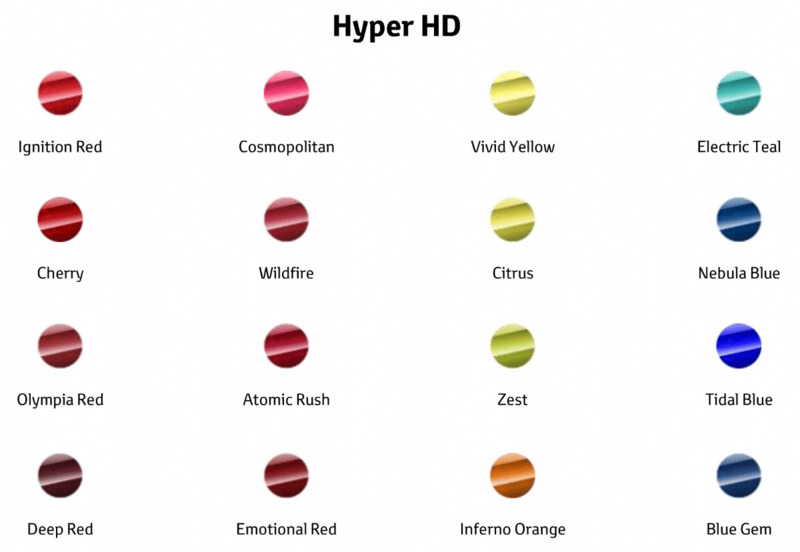 Hyper HD is a colourful and impactful theme that welcomes self-expression, performance and modern technology. 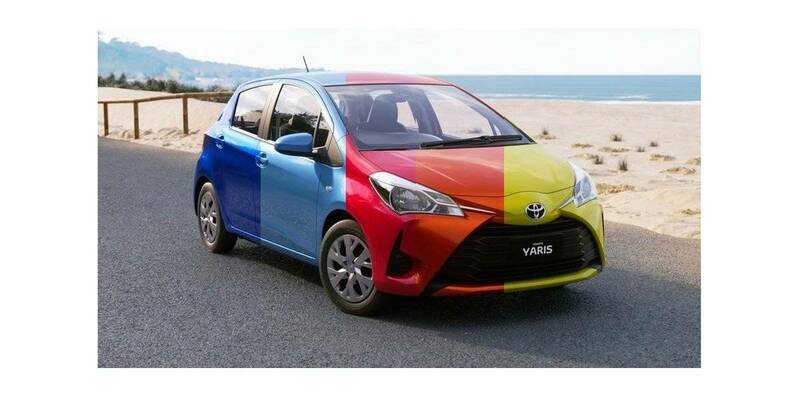 The palette includes an extroverted blend of virtual and real-world enhanced colour – a mix of dazzling bright hues. IM Perfect is a global trend named as a play on words, celebrating the perfection of imperfections and authenticity in individuals living their best lives and focusing on their uniqueness with an emphasis on wellness. This more organic palette is influenced by nature, with somewhat subdued hues such as foliage greens as well as copper and brass metal tones. Lucid Dreams reflects calmness, sensitivity and privacy, portraying a refuge from technology overload with fluid, graceful design. 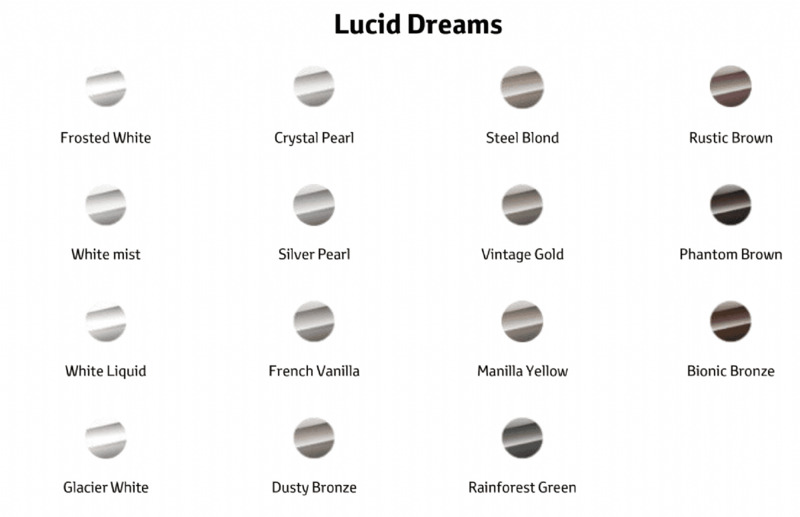 The palette consists of pastel tones with slightly more colour as interpreted in metallic whites, greens, anodized gold/beige tones and sky blues.